Now a new book aims to address this challenge by exploring the metaphorical "grandparents" whose theories and ideas have shaped the present generation of thought leaders in the field. 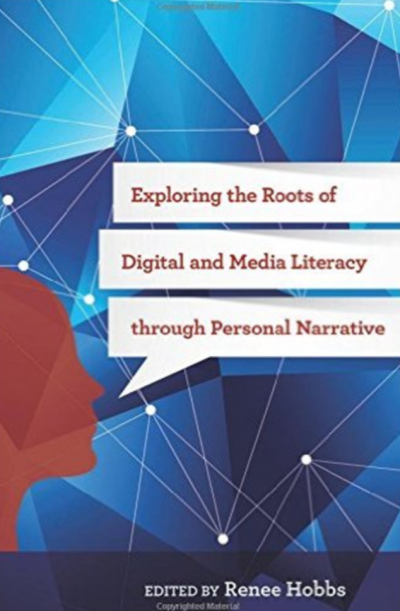 Designed to introduce undergraduates and graduate students to key theorists, Exploring the Roots of Digital and Media Literacy though Personal Narrative (Temple University Press, 2016) includes essays from Henry Jenkins, Douglas Kellner, David Weinberger, Donna Alvermann, Lance Strate, Gianna Cappello, Susan Moeller, Dana Polan and many others. By weaving together two sets of personal stories -- that of the contributing author and that of the key ideas and life history of the historical figure under scrutiny -- major concepts of digital media and learning emerge. Chapters include an examination of John Dewey, Marshall McLuhan, Roland Barthes and others whose writing and scholarship at the turn of the 20th century has offered insights to contemporary scholars trying to understand the practices involved in accessing, analyzing, and reflecting on mass media, popular culture and digital media. Instructors seeking to introduce today's students to key theorists and philosophers in the fields of media studies and education in undergraduate and graduate courses in Digital Literacy, Media Literacy, Techology in Education, and Mass Media and Society will welcome this book's use of personal stories that connect the best ideas of the past to the challenges of the present and future. EXPLORE THE GRANDPARENTS OF MEDIA LITERACY WEBSITE, a crowdsourced gallery where anyone can reflect upon the writers, thinkers, and media personalities whose work was influential to their work in media literacy.